“Home, sweet home” cannot be sweet if it’s not clean. For a few, cleanliness is an obsession! And, for such people, the vacuum cleaner is quite a convenience. As when aiming to buy any electronic gadget, some research is essential to choose the one that suits you. 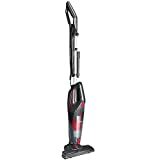 We hope that this short guide which we have prepared after going through thousands of vacuum cleaner reviews will help you decide on the best vacuum cleaner for your needs. Determine your intention of use: Choose the vacuum cleaner based on the place where you will use it. 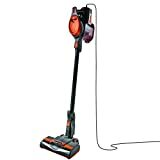 Apart from the common vacuum cleaners for home use, there are vacuums meant for industrial use to get rid of mold, hazardous materials, mercury, and other contaminants. 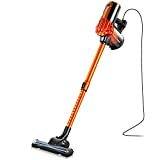 Check the types of vacuum cleaner: Decide between the different types of vacuum cleaner, such as stick models, canister models, or upright models. While the upright models are the best for homes and offices that have a carpeted floor area, the canister vacuums are meant for several rooms in a home. Eradicate allergens: Opt for a vacuum cleaner which will remove all the allergens without releasing them in the air if you have asthma, dust, or pollen sensitivity. Also, look for the vacuum that has a bag attached for trapping the allergens. Also look for a vacuum with a HEPA (= High-Efficiency Particulate Air) filter, which is able to remove minute particles of dust and allergens. Decide if you want a bag with your vacuum cleaner: Go for a bag-less model when you don’t want to buy vacuum bags. However, bag-less vacuums come with a time expense, since it gets messy to clean the filters and dust container periodically. Go for multiple attachments: Opt for a vacuum with several attachments, especially if you intend to clean your house/office extensively on a regular basis.